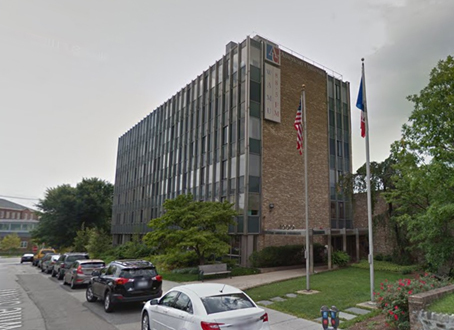 Washington, DC, (February 12, 2016) – Urban Investment Partners (UIP) of Washington DC has acquired three class C office buildings in the Tenleytown neighborhood of Washington, DC from American University (AU). The portfolio, including the longtime home of National Public Radio affiliate WAMU, traded for $45 million. 4000 Brandywine Street, NW (38,396 SF) has long been known as the WAMU Building, where American University housed its radio station and recording studios. Syndicated talk shows hosted by Diane Rehm and KojoNnamdi originated from this building, which is situated on the highest piece of land in the city. WAMU moved out in early 2013, and the building has been used for AU administrative offices and classrooms. AU will continue to occupy the building for about nine months. 4620 Wisconsin Avenue, NW (59,996 SF) is the former home of TooJays, which became Krupin’sDeli and later Morty’s, which closed in 2010. This building also isoccupied by AU, which will stay in its space for about a year. 4545 42nd Street, NW(39,299 SF), located at the intersection of 42nd Street and River Road, NW, was built to look like individual town homes or row houses, but is actually a single poured concrete structure occupied by a mix of commercial tenants. It will continue to operate as a commercial office rental property. CapSource is providing acquisition and construction loans for the Brandywine and Wisconsin Avenue locations. MidCap Mortgage is the lender for 4545 42nd Street. Named in the late 1700’s for local tavern owner John Tennally, Tenleytown surrounds the site of Civil War-era Fort Reno, built on the city’s highest natural ground at 409 feet above sea level. By 1900, the last remains of the fort had been replaced by a reservoir, water tower, and a park. Featuring sports fields, playgrounds, tennis, and more, Fort Reno Park remains a key community amenity. The 1941 opening of Sears &Roebuck at Wisconsin Avenue and Albemarle Street was an important milestone in the neighborhood’s growth. The area’s first Hechinger store also was located in Tenleytown; after Sears vacated its store in 1994, Hechinger bought and moved into the property. Hechinger eventually shuttered all of its stores. By 2003, the former Sears/Hechinger site had been converted into one of the city’s firsttransit-oriented developments (TODs), Cityline at Tenley, which currently includes Best Buy, The Container Store, and Ace Hardware..
UIP’s newly acquired properties are surrounded by a wide variety of highly regarded amenities and destinations including DC’s public Wilson High School, the Wilson Aquatic Center, Friendship/Tenley Public Library, the brand new AU Law School, Starbucks, Whole Foods, Panera Bread, Burger Tap & Shake, CVS Pharmacy, and other popular retailers. Beefsteak, the new fast-casual concept from renowned chef Jose Andres, is coming soon, as is District Taco, set to open in Tenley View. In addition to the Tenleytown/AU Metrorail station, the neighborhood has 11 Metrobus lines originating at Tenley and a several local circulator buses including the AU and Sibley Hospital shuttles. The AU shuttle bus stops on the same block as 4000 Brandywine. The UIP family of companies owns and manages more than 2,500 apartments in Washington, DC and Maryland and has renovated, restored and built more than 20 downtown apartment buildings and condominiums over the last ten years. UIP’s primary focus includes “heavy lift” renovations as well as working with tenants in Washington, DC,helping them exercise their TOPA (Tenant Opportunity to Purchase Act) rights. UIP also is active in entitling land, infill development, and acquiring residential assets in the close-in Washington, DC suburbs. For more information, visit www.uipllc.com, www.uippm.comandwww.uipgc.com. (top) 4000 Brandywine Street, the former home of WAMU, will be converted to residential apartments. (left) 4620 Wisconsin Avenue, the former home of Krupin’s Deli, also will be converted to apartments. (right) 4545 42nd Street will continue to operate as a commercial rental office property.